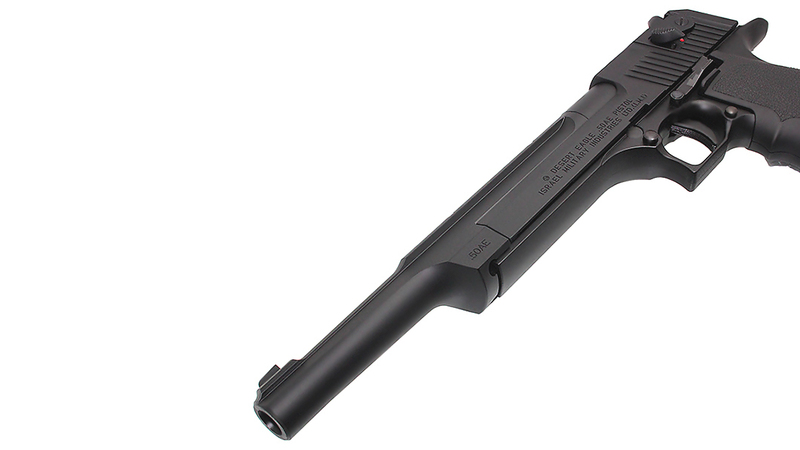 "Accomplishment of ever inexperienced "HARD-KICK" on gas blowback system with advanced accuracy in high-performance mechanism. 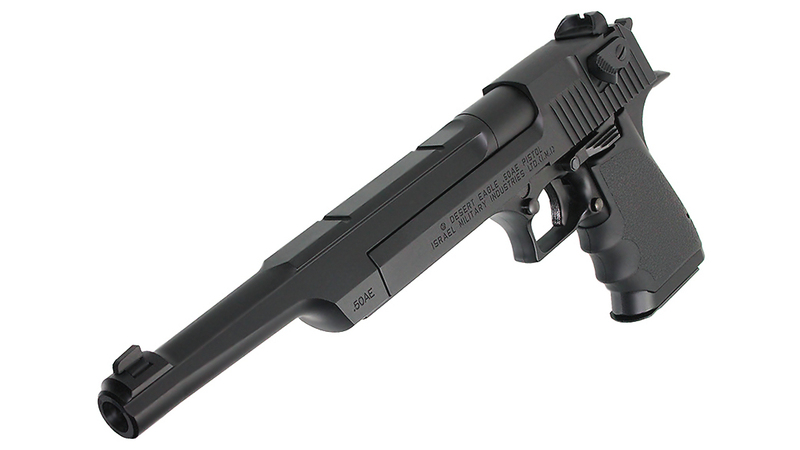 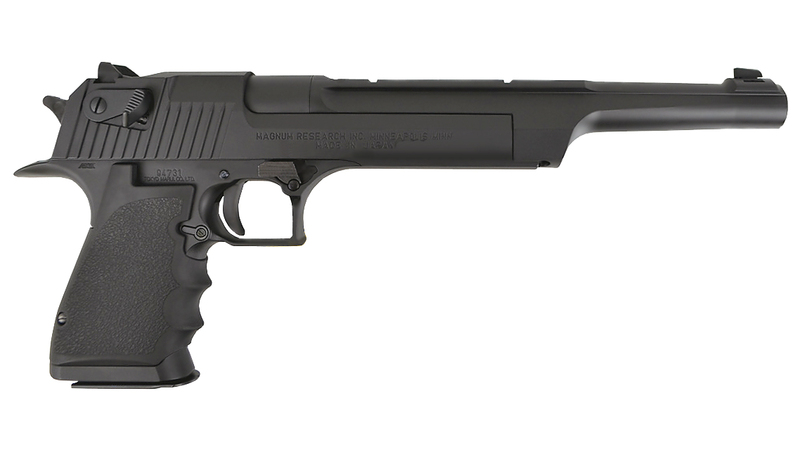 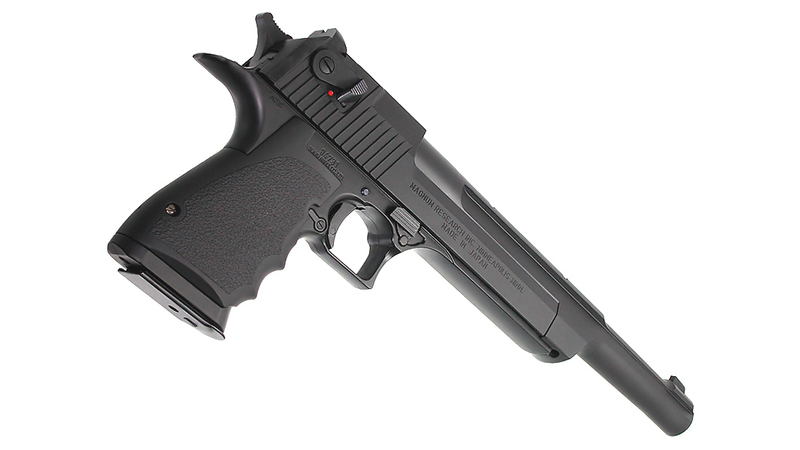 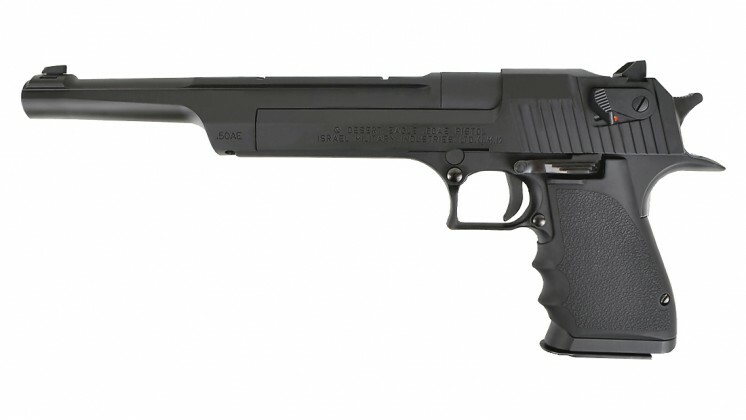 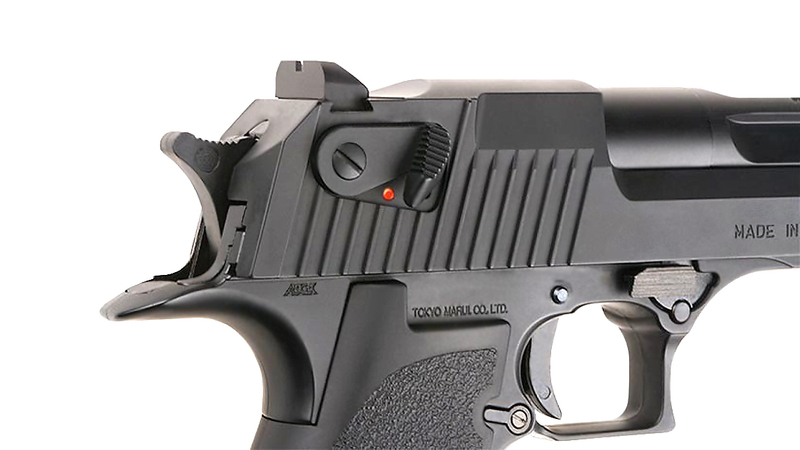 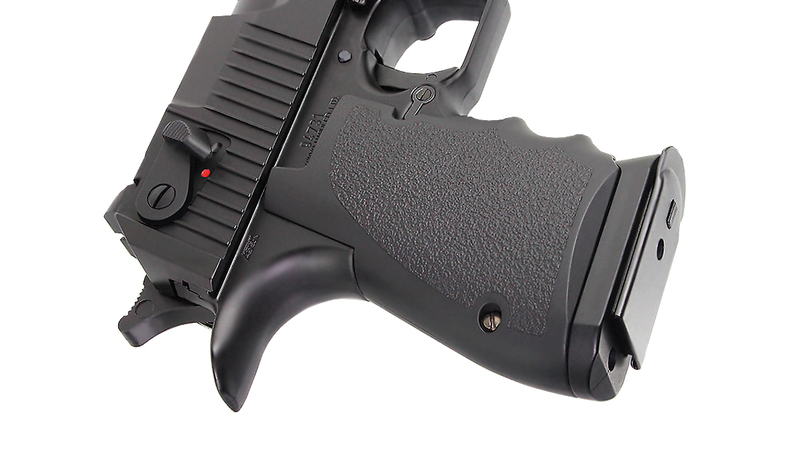 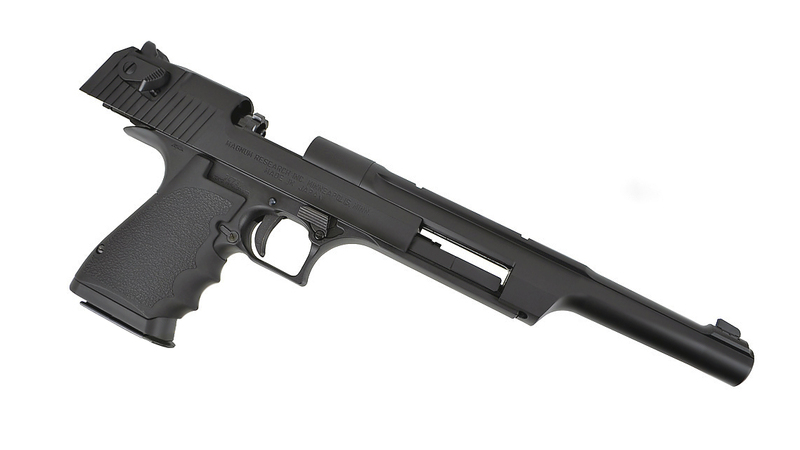 Now, re-entry of "King of Hand Gun" equivalent to real one" Ultra realistic airsoft gun from Tokyo Marui 1:1 Scale Assembled of the real steel Desert Eagle with Custom 10inch Long Barrel. i.e. 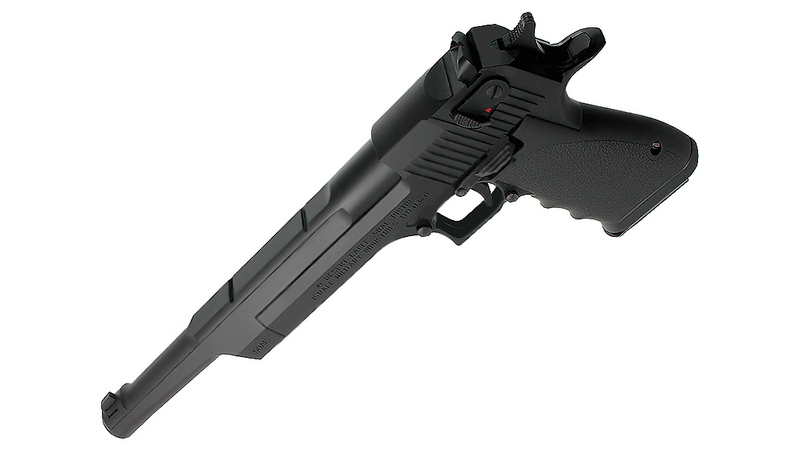 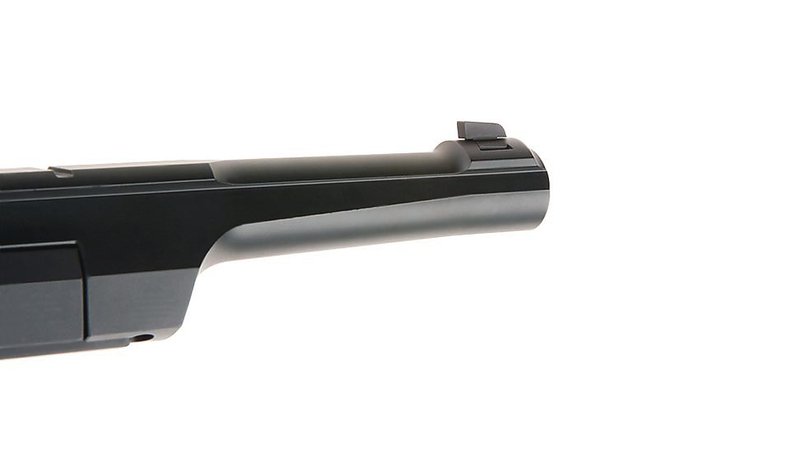 this is for big hand This gun packed with crazy kick & strong recoil feel per each shot IMI Engraving on slide & pistol grip Powerful airsoft gun achieving 330 fps with Top Gas As seen in Move "MATRIX" used by Agent Smith, Desert Eagle Series is one of the popular movie gun star Metal Hammer & Trigger off smooth firing Full Metal Magazine with 27 Rounds of Loading Capacity Fully Upgradeable with after-market parts 100% Genuine Made by Tokyo Marui in Japan.